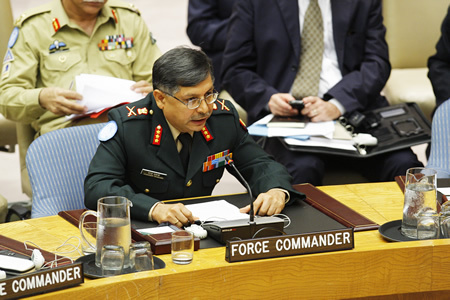 Photo: Lieutenant General Chander Prakash, Force Commander of the United Nations Organization Stabilization Mission in the Democratic Republic of Congo (MONUSCO), addresses the Security Council. July 27, 2011. United Nations, New York. UN Photo/Devra Berkowitz. 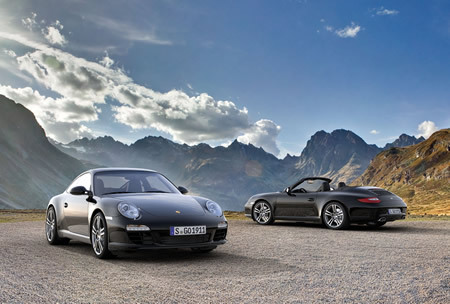 Photo: Porsche Cars 2012 911 Black Editions. 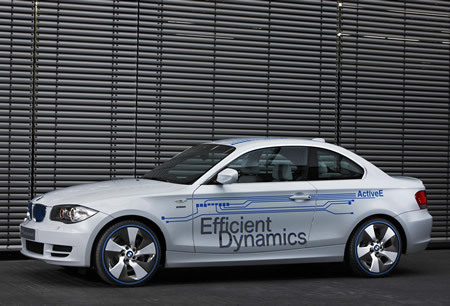 Photo: BMW ActiveE - the first all-electric BMW. 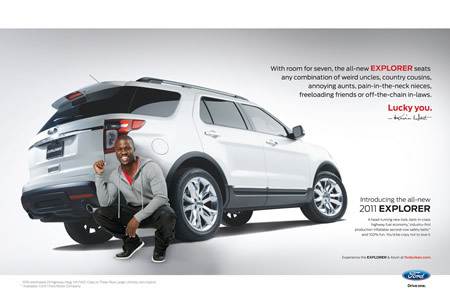 Photo: Ford Motor Company 2011 Explorer ‘Crazy Kevin’ Print Ad Featuring comedian and actor Kevin Hart. Photo: Mercedes delivers first zero-emission F-CELL. 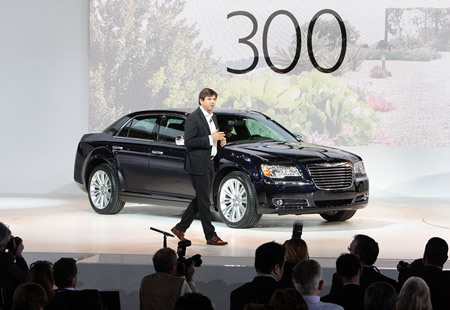 Photo: All-new 2011 Chrysler 300 World Debut: Chrysler Brand President and CEO Olivier Francois unveiled all-new Chrysler 300 at the North American International Auto Show in Detroit. Photo: Lexus (luxury vehicle division of Toyota) pairs supermodel and supercar for Ad in Sports Illustrated Swimsuit Issue. • As the auto industry battles through another difficult year, vehicle manufacturers are fighting to win customers by offering the most appealing vehicles in history, according to the J.D. Power and Associates 2011 U.S. Automotive Performance, Execution and Layout Study released today. The study finds that overall vehicle appeal has reached an all-time high since the study’s inception in 1996. Furthermore, recently launched all-new and redesigned models are substantially more appealing than their carryover counterparts. At the same time, according to J.D. Power’s Initial Quality Study, on average, all-new and redesigned models have more problems than carryover models. Porsche is the highest-ranking nameplate for a seventh consecutive year. Hyundai improves from 2010 more than any other nameplate this year, while Jeep and Chrysler also improve considerably. J.D. Power and Associates, a business unit of The McGraw-Hill Companies, is a global marketing information services company. J.D. Power’s Automotive Performance, Execution and Layout Study examines how gratifying a new vehicle is to own and drive. This study complements the Initial Quality Study which focuses on problems experienced by owners during the first 90 days of ownership. Three models rank highest in their respective segments in both the 2011 Automotive Performance, Execution and Layout Study and the 2011 Initial Quality Study: the Dodge Challenger, Ford F-150 LD and Honda Ridgeline. 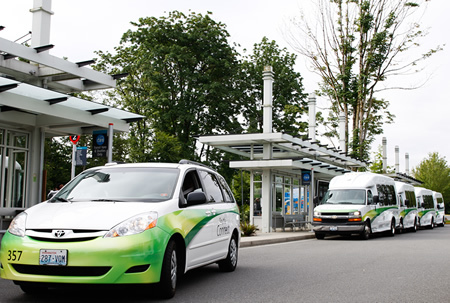 Photo: Microsoft Connector vehicles arrive at the Overlake Transit Center next to the Microsoft Redmond Campus. 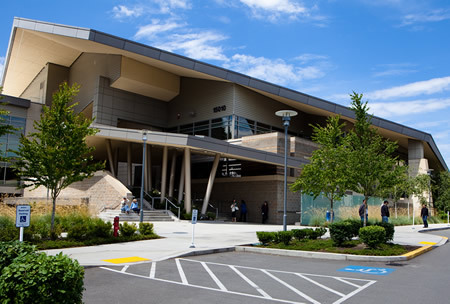 Photo: Entrance to Building 36 on the Microsoft Redmond Campus. 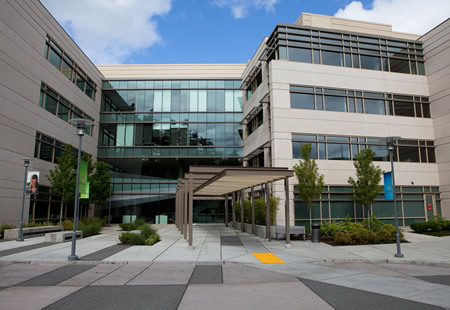 Photo: Entrance to Building 92 on the Microsoft Redmond Campus. 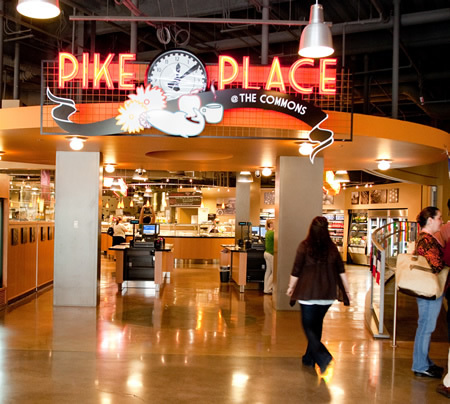 Photo: Entrance to restaurants in The Commons destination on the Microsoft Redmond Campus. 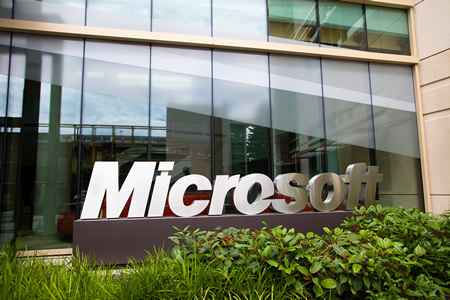 • Microsoft Corporation is bringing 100 of the USA’s best educators to its corporate headquarters this week to connect, collaborate and share their inventive teaching methods at the 2011 U.S. Innovative Education Forum. The event aims to recognize outstanding educators who engage and inspire their students to learn by creatively including technology into their school and classroom curricula. 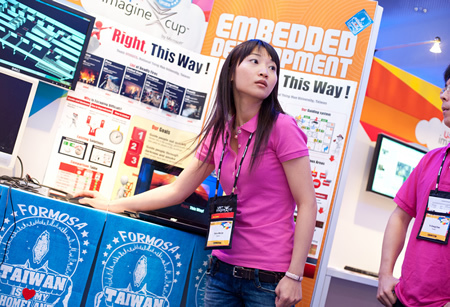 Educators who attend the forum will participate in hands-on learning sessions with the latest Microsoft technologies and present their innovative learning projects to a panel of judges. • Judges will select 10 projects to represent the U.S. at the “Microsoft Partners in Learning Global Forum” Nov. 6-11 in Washington, D.C., where more than 500 educators from around the world are expected to compete. 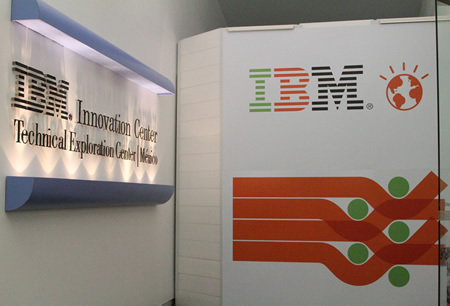 Photo: IBM Innovation Center in Mexico. 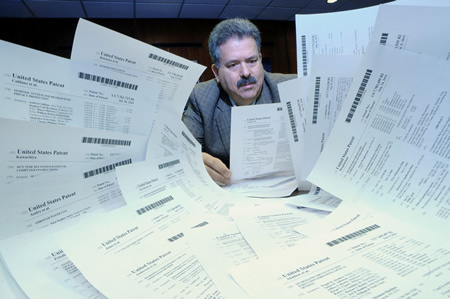 Photo: IBM’s Vice President of Innovation, Bernie Meyerson, peers at some of the thousands of patents issued to IBM inventors during the past year for a wide range inventions that have the potential to improve and transform the way we work and live, Monday, July 25, 2011, Yorktown Heights, NY. One hundred years ago — on July 25, 1911 — IBM was granted its first patent for an invention related to punched card tabulation. Over the past century, IBM inventors have received more than 150,000 patents globally for technological creations that have made a lasting impact on business and society. (Feature Photo Service). Photo: Heidi Klum and Tim Gunn deliver meals for God’s Love We Deliver during Friday’s heat-wave in New York City. 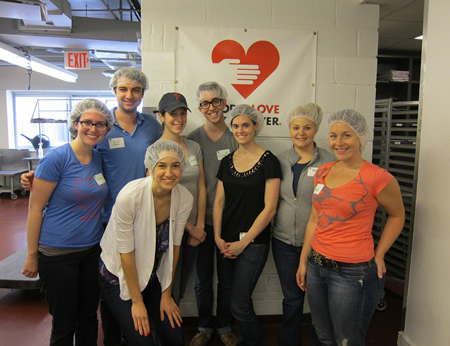 Photos: Diverse Volunteers at God’s Love We Deliver. 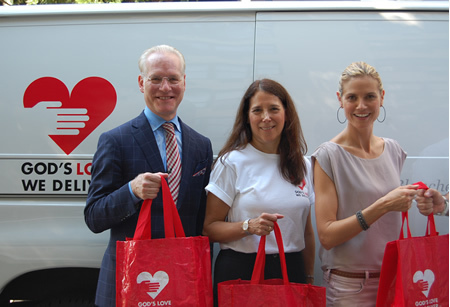 On July 22, the hottest day of the year, model, television personality and entrepreneur Heidi Klum and fashion guru Tim Gunn joined forces to deliver life-saving meals to vulnerable clients in New York City. 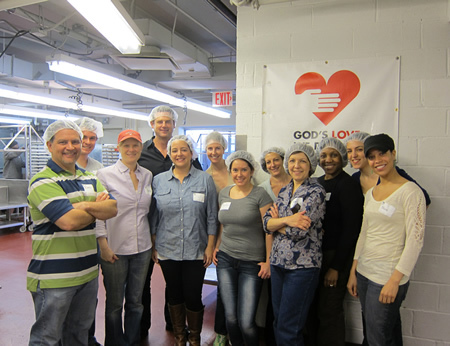 They were joined by volunteers, Board member Desiree Gruber and Karen Pearl, President & CEO of God’s Love We Deliver. 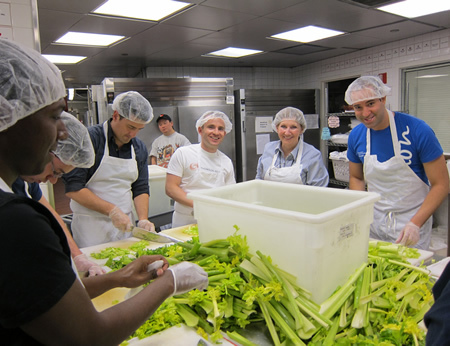 God’s Love is a not-for-profit organization in New York City that provides individually-tailored life-sustaining meals and nutritional counseling to people living with life-threatening illnesses and those who are too sick to shop or cook for themselves. 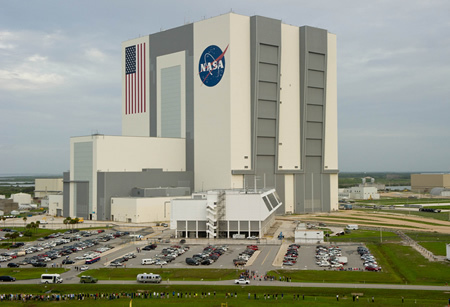 Photo: The Astrovan carrying the STS-135 crew rolls past the Vehicle Assembly Building (VAB) and Launch Control Center (LCC), on its way to launch pad 39a and space shuttle Atlantis, Friday, July 8, 2011, at Kennedy Space Center in Cape Canaveral, Fla. The launch of Atlantis, STS-135, was the final flight of the shuttle program, a 12-day mission to the International Space Station. Photo Credit: NASA/Bill Ingalls. Photo: The STS-135 crew; Chris Ferguson, commander; Doug Hurley, pilot; Rex Walheim and Sandy Magnus, both mission specialists are seen before boarding space shuttle Atlantis at launch pad 39A prior to launch, Friday, July 8, 2011 at the NASA Kennedy Space Center in Cape Canaveral, Fla. 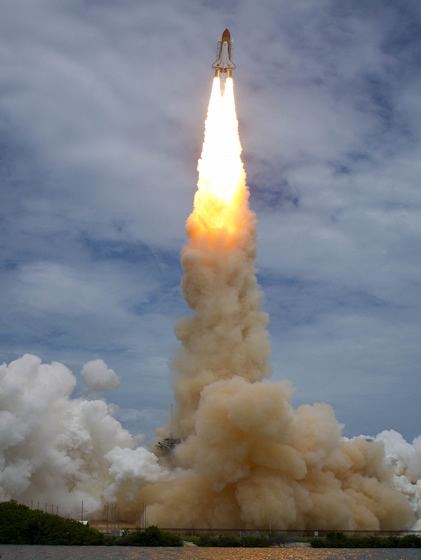 The launch of Atlantis, STS-135, was the final flight of the shuttle program, a 12-day mission to the International Space Station. Photo Credit: NASA/Bill Ingalls. 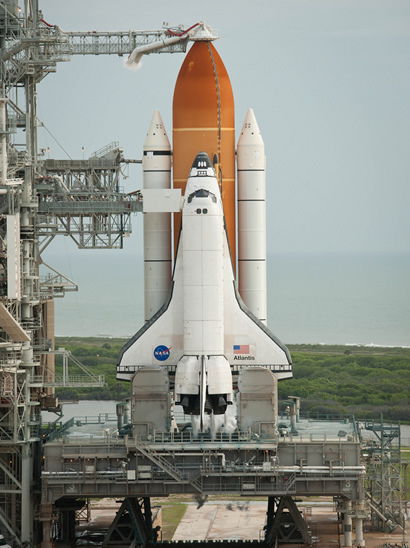 Photo: Space shuttle Atlantis is seen on launch pad 39a moments after the STS-135 crew arrived for their launch, Friday, July 8, 2011, at the NASA Kennedy Space Center in Cape Canaveral, Fla. Photo Credit: NASA/Bill Ingalls. Photo: Space shuttle Atlantis is seen as it launches from pad 39A on Friday, July 8, 2011, at NASA’s Kennedy Space Center in Cape Canaveral, Fla. Photo Credit: NASA/Bill Ingalls. Photo: The space shuttle Atlantis is revealed as the rotating service structure (RSS) is rolled back at launch pad 39a on Thursday, July 7, 2011 at the NASA Kennedy Space Center in Cape Canaveral, Fla. Photo Credit: NASA/Bill Ingalls. 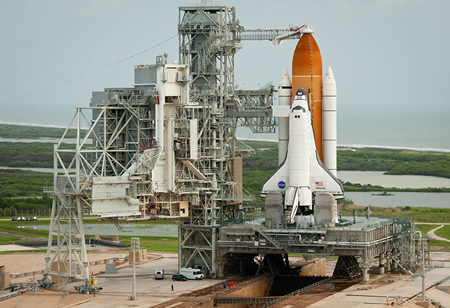 • Wrapping up 30 years of achievements, NASA’s Space Shuttle Program came to a “wheels stop” on Thursday at the conclusion of its 135th mission. Shuttle Atlantis and its four-astronaut crew glided home for the final time, ending a 13-day journey of more than five million miles with a landing at 5:57 a.m. EDT at NASA’s Kennedy Space Center in Florida. 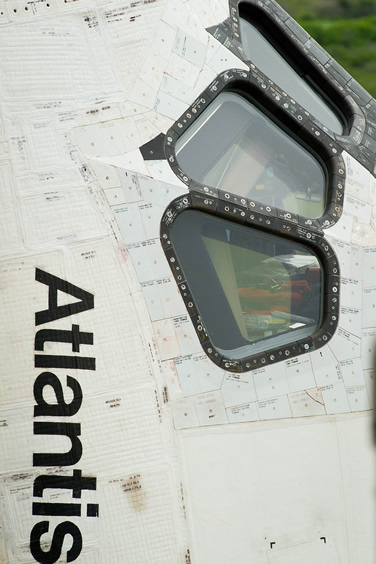 According to NASA, this was Atlantis’ 33rd flight, and was the 135th and the final flight of the shuttle program. 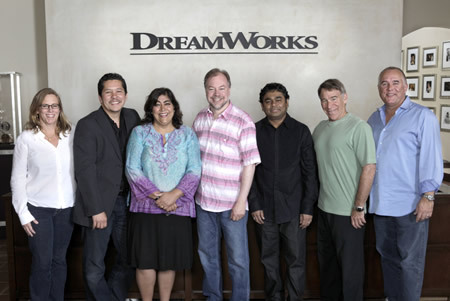 Photo: Left to Right: Lisa Stewart (Producer), Paul Berges (Writer), Gurinder Chadha (Writer), Kevin Lima (Director), A. R. Rahman (EP/Composer), Stephen Schwartz (EP/Lyricist), Chris Chase (Producer). Location: Glendale, CA, USA. • DreamWorks Animation today announced in Glendale, California, that Kevin Lima (Enchanted, Tarzan) will direct the upcoming feature film Monkeys of Mumbai (working title), the studio’s first-ever Bollywood-style animated musical adventure. Lisa Stewart (Turbo, Monsters vs. Aliens) and Chris Chase (Enchanted, Tarzan) will serve as producers on the project. Stephen Schwartz (Wicked, Prince of Egypt, Enchanted) is serving as executive producer and lyricist, A. R. Rahman (127 Hours, Slumdog Millionaire, Bombay Dreams) is serving as executive producer and composer, and Gurinder Chadha & Paul Berges (Bride & Prejudice, Bend It Like Beckham) are writing the feature project. Inspired by the great Indian epic tale of The Ramayana - but retold through the point of view of its monkeys - Monkeys of Mumbai revolves around two common monkeys who become unlikely heroes in a last ditch effort to stop an ancient, thought-to-be-mythical demon from conquering the world. 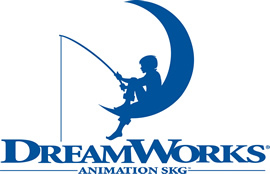 DreamWorks Animation creates high-quality entertainment, including animated feature films, meant for audiences around the world. All of DreamWorks Animation’s feature films are now being produced in 3D. 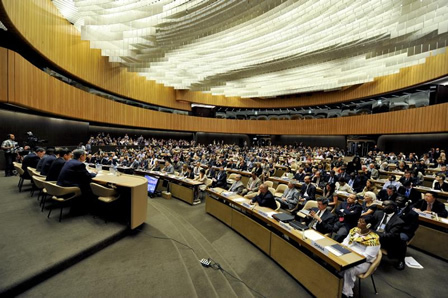 A meeting of the High-level Segment of the United Nations Economic and Social Council (ECOSOC), with focus on education, took place in Geneva. Photo: Participants at the ECOSOC High-Level Segment. UN Photo / Jean-Marc Ferre. Photo: Joseph Deiss, President of the General Assembly, delivers his statement during the meeting of senior United Nations officials with local Pupils in the context of the 2011 ECOSOC High-Level Segment. UN Photo / Jean-Marc Ferre. 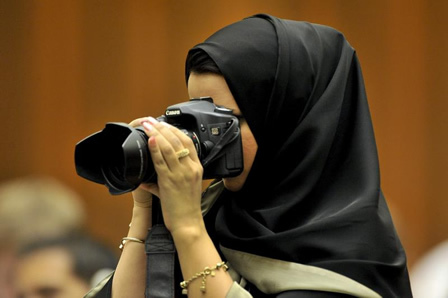 Photo: A member of delegation of Qatar at the ECOSOC High-Level Segment. UN Photo / Jean-Marc Ferre. 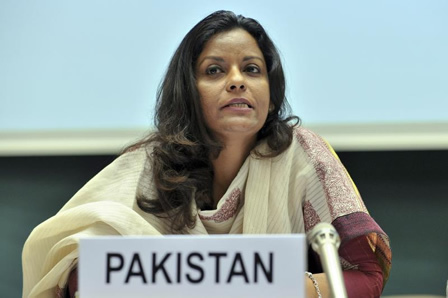 Photo: Nafisa Shah, Member of the National Assembly of Pakistan, addresses the ECOSOC High-Level Segment. UN Photo / Jean-Marc Ferre. 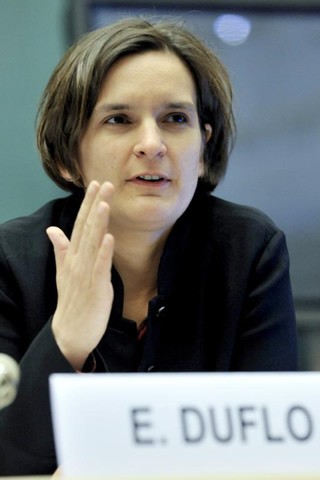 Photo: Esther Duflo, Professor or Poverty Alleviation and Development, Massachussetts Institute of Technology, during the ECOSOC High-Level Segment. UN Photo / Jean-Marc Ferre. 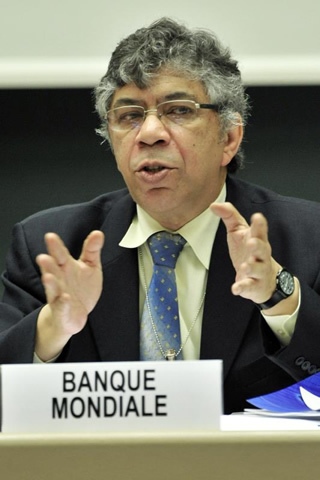 Photo: Otaviano Canuto dos Santos Fihlo, Vice-President, Poverty Reduction and Economic Management, World Bank, during the ECOSOC High-Level Segment. UN Photo / Jean-Marc Ferre. • The Economic and Social Council (ECOSOC) serves as the central forum for discussing international economic and social issues, and for formulating policy recommendations addressed to Member States and the United Nations system. • Encouraging universal respect for human rights and fundamental freedoms. May 30, 2011 — Mark Mobius, executive chairman of Templeton Asset Management’s emerging markets group, said another financial crisis is inevitable because the causes of the previous one haven’t been resolved. The global financial crisis three years ago was caused in part by the proliferation of derivative products tied to U.S. home loans that ceased performing, triggering hundreds of billions of dollars in write-downs and leading to the collapse of Lehman Brothers Holdings Inc. in September 2008. 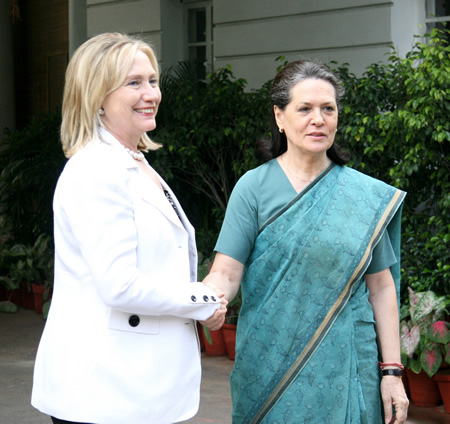 Photo: U.S. Secretary of State Hillary Rodham Clinton is greeted by All India Congress Party President Sonia Gandhi in New Delhi, India, on July 19, 2011. 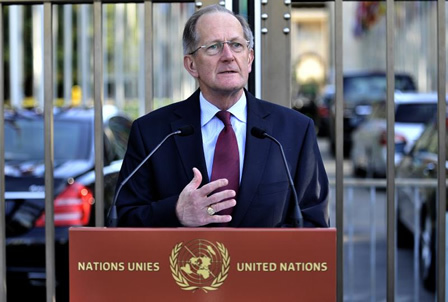 (State Department Photo). Photo: Microsoft sign outside Building 99 on the Microsoft Redmond Campus. 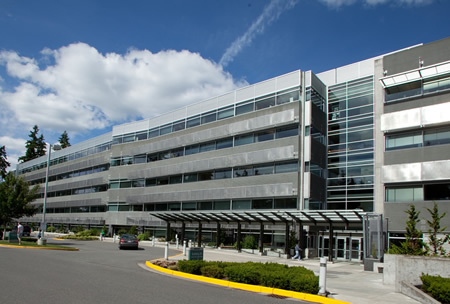 Photo: Entrance to Building 37 on the Microsoft Redmond Campus. 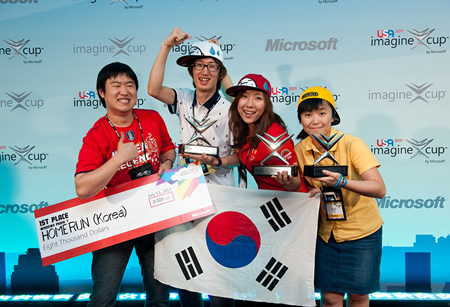 Microsoft Corp. today announced the winners of the ninth annual Microsoft Imagine Cup, the world’s premier student technology competition, honoring student innovations that address global problems such as improving road and fire safety, eradicating poverty, and creating a more sustainable environment. The Imagine Cup 2011 competition winners were announced at the Imagine Cup World Festival and Awards Ceremony at the David H. Koch Theater at Lincoln Center in New York. • Narrowed from more than 350,000 global registrants, more than 400 students from 70 countries traveled to New York to compete at the Worldwide Finals. Team Hermes from Ireland took home top honors in the Software Design competition. The team designed a device that plugs into a car and monitors dangerous driving behavior and road conditions, providing instant feedback to both the driver and the car owner. 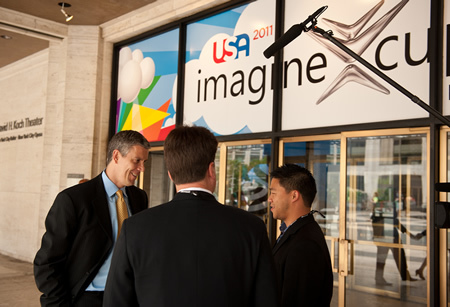 Photo: United States Secretary of Education Arne Duncan visited the Imagine Cup 2011 Worldwide Finals. Photo: Mercedes-Benz Presents LUXE swimwear designer Lisa Vogel, along with the 2012 Mercedes-Benz SLK-Class Roadster. LUXE by Lisa Vogel has received the title of “Mercedes-Benz Presents” designer. The “Mercedes-Benz Presents” program recognizes designers that demonstrate dedication to the use of “quality materials, unique style and innovative design”. Created by swimwear expert Lisa Vogel, LUXE is available at fine retailers and luxury resorts across the globe. “Mercedes-Benz Fashion Week Swim” will take place in Miami Beach, Florida at The Raleigh from July 14-18, 2011.